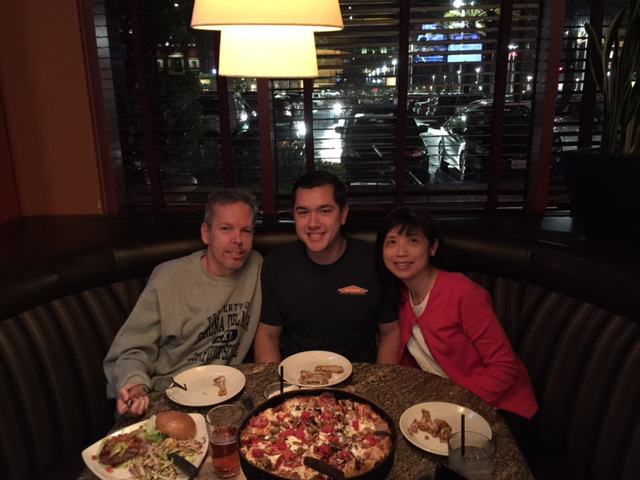 End-of-winter-break dinner at BJ’s Brewhouse, after which the boy headed back to school for his final semester . . .